It is the student’s responsibility to ascertain their eligibility for federally funded financial aid prior to registration. Students should visit https://nslds.ed.gov/nslds/nslds_SA/ to view their current status with respect to financial aid availability. Students accepted for study at the Academy should contact a financial aid counselor for further information at 1-800-223-2668 and ask for extension 7145.
into a Degree Seeking Program.  In order for you to be eligible for financial aid, you must be enrolled at least half-time, in a degree program. Students must re-apply for financial aid each academic year. Are you in a hurry to begin classes? Apply for financial aid while completing your admissions application and have your award ready for registration. The instructions below will get you started. All students receiving financial assistance must maintain an enrollment status of at least half time, which is six credit hours per semester at the Bachelor’s and Master’s degree level or three credit hours for the Doctoral degree. Complete the Free Application for Federal Student Aid (FAFSA) online or request a paper copy from the financial aid office. First time applicant? You will need to complete the Federal Direct Loan Entrance Counseling. To maintain financial aid, you must complete a new FAFSA every year. Apply for an International Student Loan at http://www.internationalstudentloan.com. You will need a U.S. Citizen as a co-signer. Filing the Free Application for Federal Student Aid (FAFSA) determines your eligibility for the following types of assistance. A Direct Student Loan is money authorized by the Federal Government to help pay for your college costs. These funds must be paid back to your lender upon your withdrawal from school or graduation. The interest of The Federal Direct Loan can be subsidized or unsubsidized, which is determined by an analysis conducted on the Free Application for Federal Student Aid (FAFSA). Repayment of a Direct loan does not occur as long as the student is enrolled half-time or until six months after last date of attendance. However, it can be paid back at anytime without penalty. Repayment of the loan will be completed in a ten year time frame. The Federal Parent Loan Program (PLUS) are funds the government has made available to parents to help with their student’s education costs. Students whose parents are denied the PLUS, for credit reasons, are eligible for the additional loan limits independent students are typically allowed.